Controllable synthesis of FeS nanoparticles with high electrochemical performance is still a challenge for cheap Li-ion batteries. In this paper, FeS nanospheres/Fe/hard carbon mesoporous sheet (FeSNs-Fe/HCMS) nanocomposites are synthesized by using sulfate pulping red liquor (SPRL) as a multifunctional template. In the nanocomposite, FeS nanospheres (20–50 nm) are homogeneously embedded in Fe/hard carbon mesoporous sheets. The heterogeneous nucleation and confined growth mechanisms of FeS nanospheres are established. 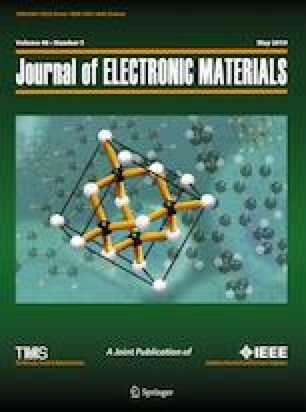 The synthesis mechanism and electrochemical reactions of FeSNs-Fe/HCMS nanocomposites are proposed. The influences of the additive amount of sulfate pulping red liquor on the structure and electrochemical performance of FeSNs-Fe/HCMS nanocomposites are investigated. The results of electrochemical investigation show that this nanocomposite anode exhibits a high initial discharge capacity of 1182 mAh g−1 at a current density of 1 A g−1, which is far beyond the theoretical specific capacity of FeS (609 mAh g−1). Even after cycling at 1 A g−1 over 100 cycles, this anode still retains a high discharge specific capacity of 881 mAh g−1. This work not only reduces pollution of sulfate pulping red liquor, but also benefits the utilization of waste, which proves that sulfate pulping red liquor has good application prospects in Li-ion batteries. The author thanks National Natural Science Foundation of China (Grant Nos. 51672139, 51472127 and 51272144) for the financial support. They also thank the Key Laboratory of Pulp and Paper Science and Technology of Ministry of Education for the financial support (No. KF2016-01).